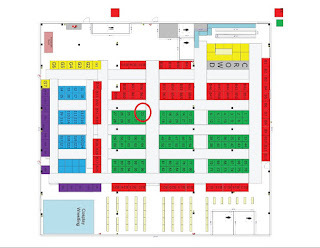 I'll be at A Video Game Con in Parsippany, NJ this weekend. Last year was its first year and it only ran for one day, but this time it's running on both Saturday and Sunday. Make sure to check the web page so the parking situation makes sense - it will definitely overcrowd and if you park in the wrong spot you'll get a ticketed/towed. Here's what my table looked like last year. 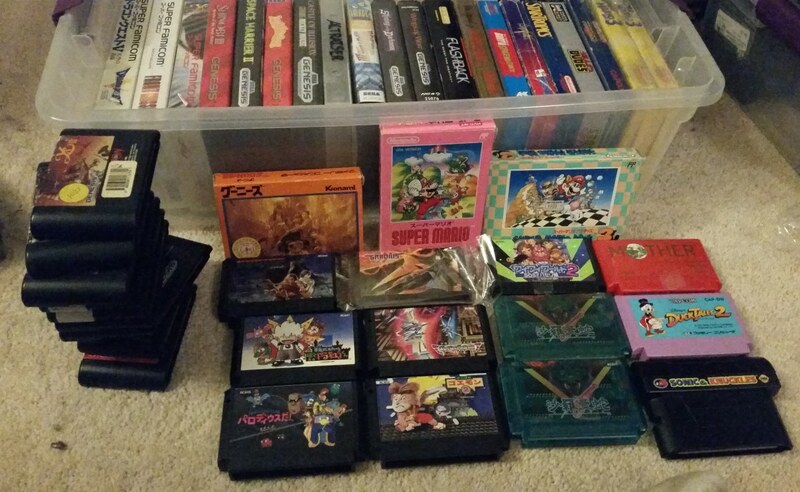 Expect similar stuff, though I haven't quite determined what games to bring...probably some more boxed NES stuff. 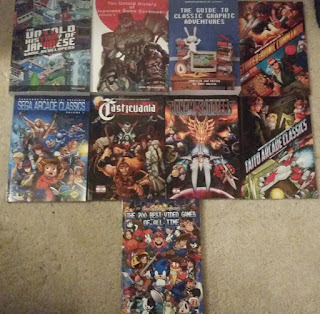 Take note that we have several more books available since last year, including The 200 Best Video Games of All Time, Taito Arcade Classics, Data East Arcade Classics, and The Untold History of Japanese Game Developers Vol. 2. 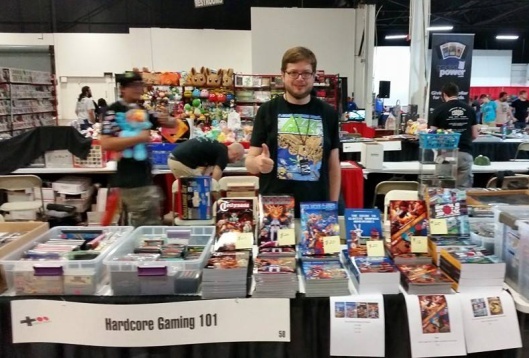 They're being sold a bit cheaper than Amazon since I don't have to deal with their monstrous cut in the profit, so stop by and talk video game stuff (and buy my book(s))! Also, take note that there's an excellent Cluck-U Chicken right down the road from the Parsippany PAL Building. If you want to drive about 15 minutes to Morristown, you can also get a fat sandwich for a taste of some traditional New Jersey cuisine. And that's just a 5 minute walk from the Morristown Game Vault arcade. Well, it seems like nowadays this blog is mostly used for convention announcements. And here's another one! 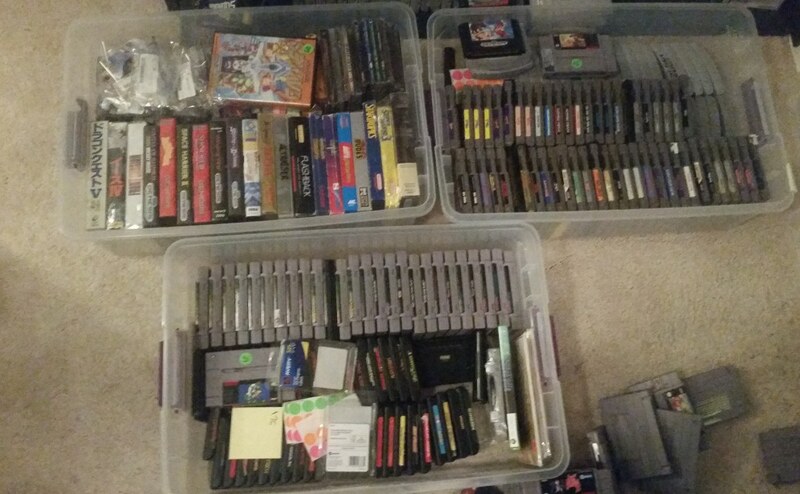 I'll be at Too Many Games in Oaks, PA on the weekend of June 24-26th, 2016, selling books and assorted other video game stuff. 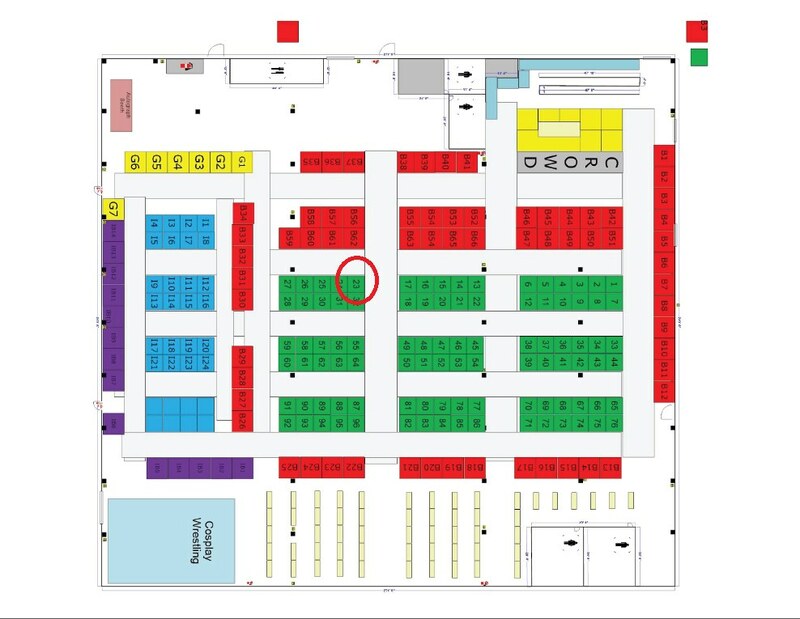 I'll be at table 23 (marked below on the map). 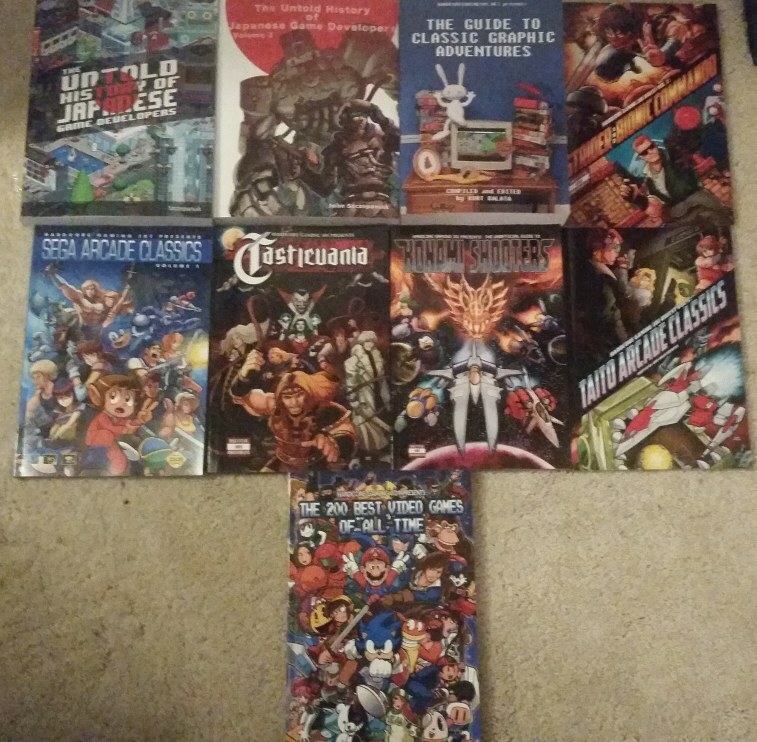 I'll be selling copies of all seven of our books, plus both volumes of the Untold History of Japanese Game Developers, for prices lower than what you can get them on Amazon. (No exorbitant markup, you see.) I've also got a sample copy of a book that has all of the projects we're working on the next year, if you want to see previews of the upcoming Data East or shoot-em-up books. 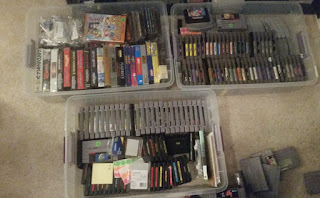 I'll also have an assortment of NES, SNES, Genesis and N64 games, a handful of video game soundtrack CDs, maybe some manga and strategy guides, some PS2 and DS titles (good ones, too! 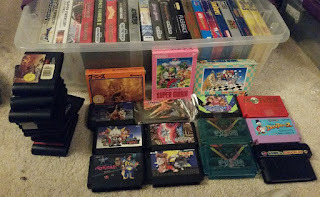 ), and basically whatever else I can fit on a single table. Or just stop on by and chat video games! The realm of early Japanese computer gaming is not widely documented, especially on the English internet, but it's something that we at HG101 take huge interest in. 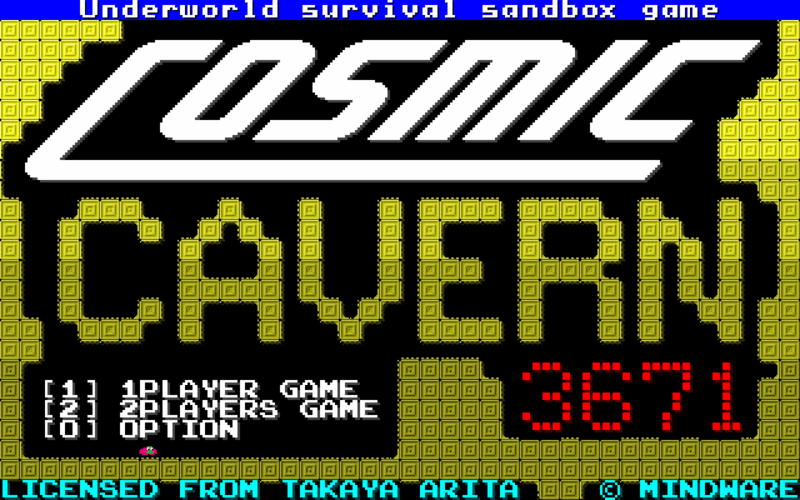 So that's why it's worth checking out Cosmic Cavern 3671 (宇宙最大の地底最), which was recently posted on Steam Greenlight. 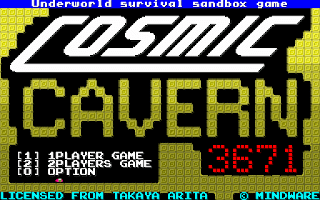 Cosmic Cavern 3671 is a remake of a 1980 computer game called Chitei Saidai no Sakusen (地底最大の作戦). Programmed in BASIC for the MZ-80, it was first printed in July 1980, and was written by Takaya Arita, currently a professor at Nagoya University. 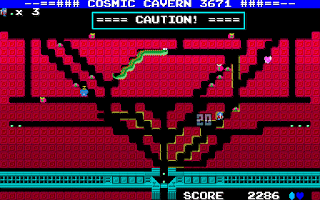 It's a digging game, that actually looks like Namco's Dig Dug, despite predating it by two years. 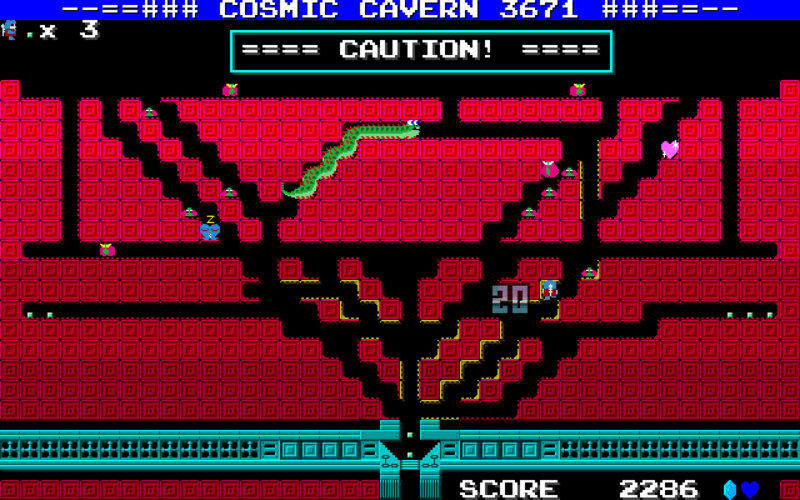 This remade version includes ports of the original BASIC versions (using monochrome ASCII-type graphics, of course, with different colors based on different monitor types), as well as a redone version with updated sprites and some changes that are said to make the game less frustrating. The redone visuals were created by Hiroshi Ono, the famous pixel artist who worked on numerous early Namco arcade titles, including Galaga, Mappy, Dig Dug, Pac Man, and many, many, many others. The new soundtrack was also provided by Yuzo Koshiro, famous for thirty years of fantastic video game music. It's definitely an obscure title - the original game doesn't appear to be emulated anywhere - but it's great to see such a bit of history resurrected for the modern era. Go give it a vote, and check it out when it's released!